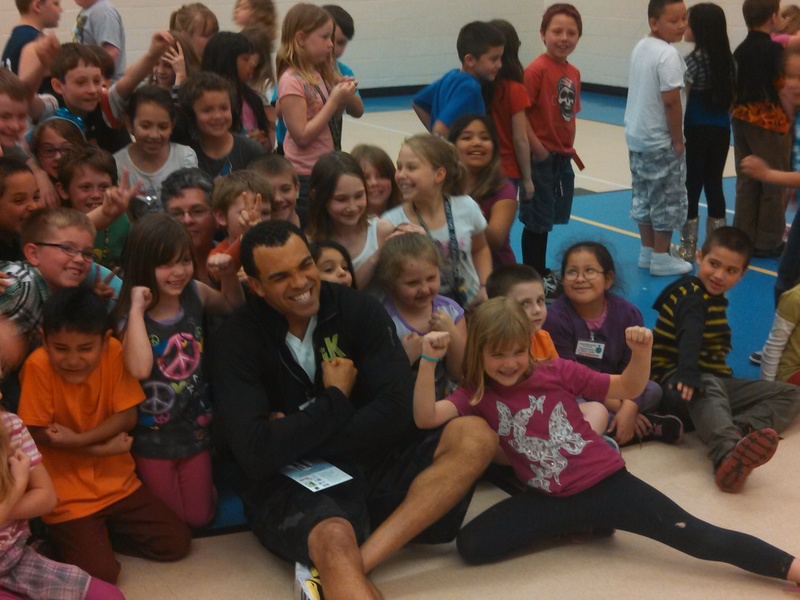 Two Oregon school districts—Bethel and Springfield—participated in a friendly Healthy Life Schools Challenge from April 14 to May 10. Teachers, faculty, and staff from 33 schools competed to find out which elementary, middle, and high school could eat more healthfully by replacing one unhealthy snack a day with a fresh fruit or veggie. Throughout the challenge, 1,288 participants replaced 5,847 unhealthy snacks with 22,714 fresh fruits and veggies. PacificSource Healthy Life pitched in and donated some fruits and veggies to encourage participants to eat healthy along the way. And, while this was a friendly competition to raise awareness for healthy eating, there were winners. Congratulations to Thurston Elementary, Briggs Middle School, and A3 (Academy of Arts and Academics) high school for consuming the highest percentage of fruits and veggies during the challenge! PacificSource Healthy Life will award each of the winning schools $1,000 to use for health and wellness initiatives in their school. In addition to the competition to eat more fruits and veggies, the challenge also encouraged students, faculty, and staff to lace up their running shoes. PacificSource Healthy Life donated 50 race entries to Bethel and Springfield teachers and students for the Casa-Re/Max Integrity Champions for Children Run/Walk, which took place on May 10 at Skinner Butte Park in Eugene, Oregon. To help participants get ready for race day, a free Couch-to-5K training program was offered, which nearly 100 participants used to prepare for the Casa-Re/Max Run/Walk event. 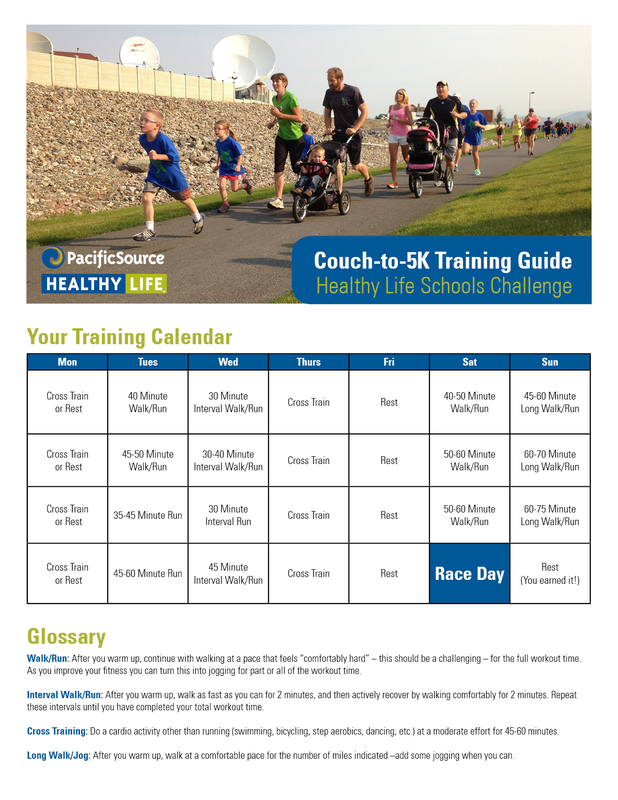 If you’d like to train for your own local run or walk, you can use the free Run for My Healthy Life Couch-to-5K training program (shown below). Visit RunningInTheUSA.com to find races in your community. School communities are increasingly becoming places where healthy habits can flourish. Teachers are in a good position to act as positive role models for students, parents, and the community. 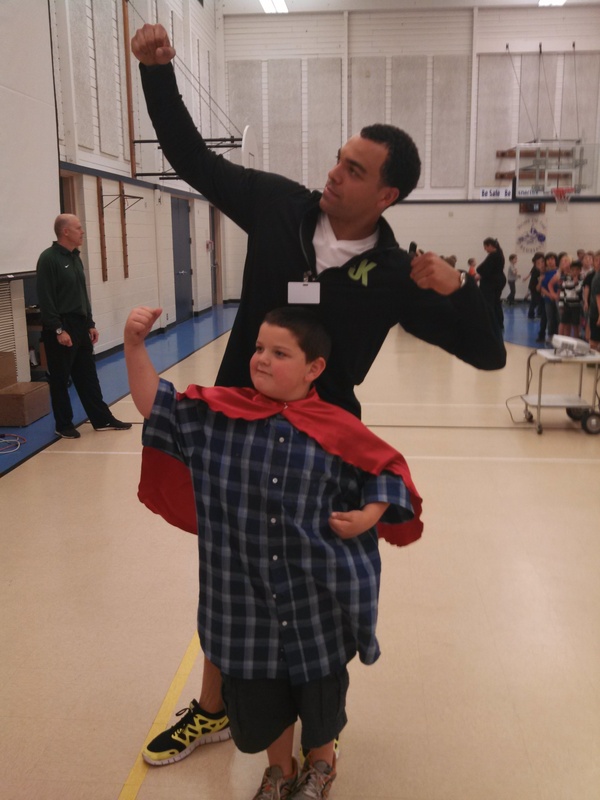 A teacher who is on a personal journey to wellness—including healthy habits such as healthy eating and regular physical activity—can have a good influence on the health of students and others. As more and more schools, parents, students, and communities realize the strong links between health and education, the more progress students can make toward healthy choices and lifestyles. Assemblies were held at an elementary and a middle school in Eugene to kick off this year’s Healthy Life Schools Challenge activities. 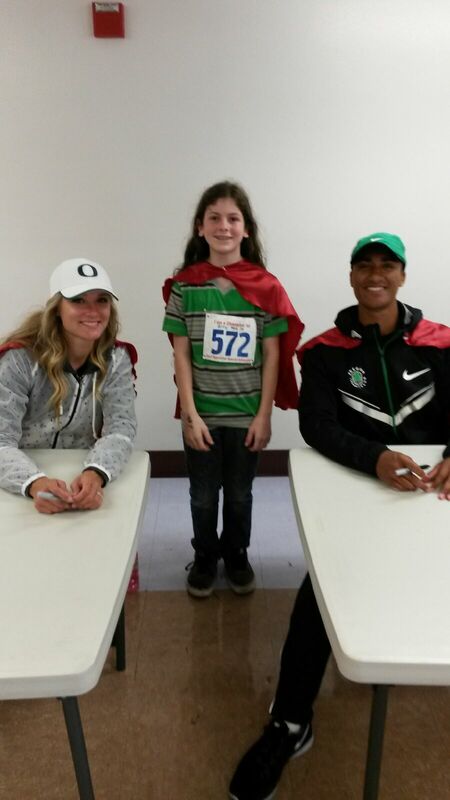 Former University of Oregon three-sport athlete Jordan Kent rallied students to get involved in the challenge by encouraging their teachers to eat fresh fruits and veggies and by training for a 5K race. Kent also shared some tips on the benefits of heating healthy and getting plenty of exercise. Jordan is the founder of the Jordan Kent Skills Camp for boys and girls ages 6 – 12 that offer life skills education and instruction in football, basketball, and soccer, Jordan Kent. Of course, the most important prize for teachers is that they’re improving their health and setting a good example to students. But, to add a little incentive, a $1,000 prize will be awarded to the elementary, middle and high school that consumes the highest percentage of fruits and vegetables. School winners are encouraged to use that prize money towards improving the health of their school. To learn more about the Healthy Life Schools Challenge or see how your school can get involved, visit HealthyLifeChallenge.org. A Healthy Life Starts With You! Last week First Lady, Michelle Obama celebrated the fourth anniversary of her Let’s Move! Campaign. Let’s Move! is about putting children and their families on the path to a healthy future during their earliest months and years by encouraging them to eat healthfully and get active. To demonstrate the national scope of all the great work happening around the country, the First Lady encouraged people of all ages to show her how they move through eating more fruits and vegetables, getting physically active, or making healthy changes like planting a community garden. First, (and most important) Move! Show us how you move through the choices you make to live a healthy life. Whether it’s eating healthfully, getting active, relaxing or managing your stress or spending quality time with your family and friends, we want to know how you’re moving to help change the health of our nation…for the better! Document your movement. Take a picture or create a video and post it to our PacificSource Healthy Life Facebook page. We want to see pictures or videos of you moving, your school moving, your work moving, your family moving, etc. As a thank you for sharing how you move, we’ll enter you into a drawing for a free Nike Fuel Band. We’ll draw the winner next week. If you win, we’ll message you on Facebook. Finally, share with your friends, family, colleagues, etc., to get them moving! If the President and Vice President can do it, so can we!